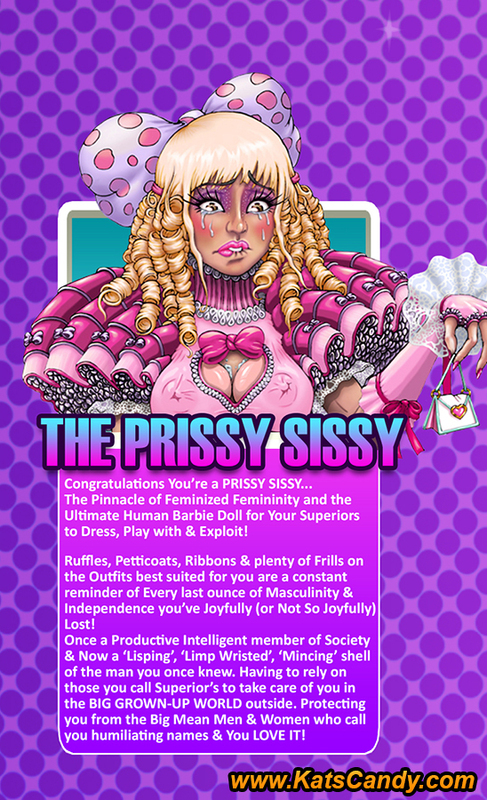 KatsCandy.com Bimbo and Prissy Sissy Art: QUIZ:: WHAT TYPE OF SISSY ARE YOU!?! "Why the police dont investigate to found the guys? And why their familiars dont do any research?" Is there a way (that you know of) how I can perhaps make these types of Images/ Documents more Phone Friendly in the future? I'm a Total Sissy Maid. I exist to serve and live to service. I aim to please and love to pleasure.